Bujar's world is collapsing. 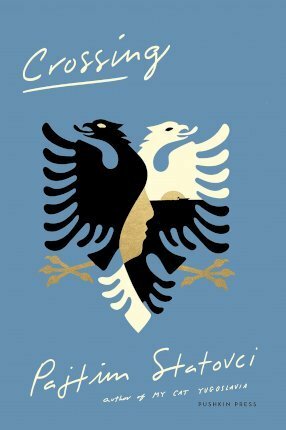 His father is dying and his homeland, Albania, bristles with hunger and unrest. When his fearless friend Agim is discovered wearing his mother's red dress and beaten with his father's belt, he persuades Bujar that there is no place for them in their country. Desperate for a chance to shape their own lives, they flee. This is the beginning of a journey across cities, borders and identities, from the bazaars of Tirana to the monuments of Rome and the drag bars of New York. It is also a search through shifting gender and social personae, for acceptance and love. But faced with marginalization at home and only precarious means of escape and survival, what chance do the young pair have of forging a new life? Pursued by memories of home and echoes of folk tales, they risk losing themselves in the struggle to leave their pasts behind. Pajtim Statovci (b. 1990) is a Finnish-Kosovan novelist. He moved from Kosovo to Finland with his family when he was two years old. He is currently a Ph.D candidate at the University of Helsinki. His first novel, My Cat Yugoslavia, also published by Pushkin Press, won the prestigious Helsingin Sanomat Literature Prize. Crossing won the Toisinkoinen Literature Prize in 2016 and, Statovci also won the 2018 Helsinki Writer of the Year Award.